The choice you make as to which business structure would suit you and your business is a difficult one to make. 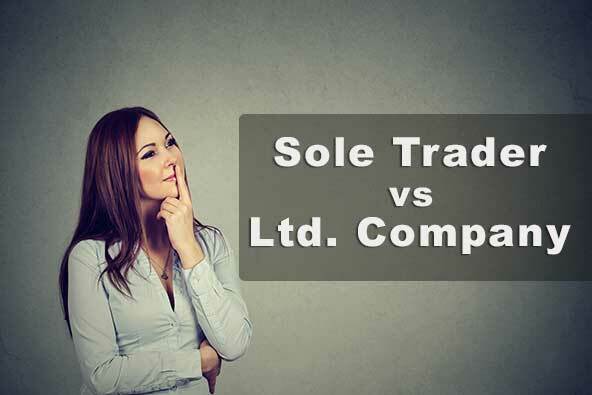 Each have their own legal, tax and liability issues which need to be taken into consideration when making the choice between running your business as a sole trader or a limited company. For Freelancers this should definitely be decided at the onset of starting to trade. To help you decide you should consider the type of business you will be running and the type of clients that you will have. This is an important consideration as the way others view you and your work as a Freelancer are affected by the type of business structure you choose. If your clients are individuals that require a particular service or product that requires delivery of high standards and customer service, then running your business as a sole trader is a viable and simple solution. You will have less paperwork and setting up a business is much easier and less time consuming. Note that a sole trader is personally liable so ensure that you have considered this before making your final decision. Some larger clients and corporations are only willing to work with a limited company but this requires much more paperwork and HMRC regulations that need to be complied with. If your work entails dealing with clients who have high risk environments like high risk security or sensitive data, then a limited company is the best business structure for you. It provides you with limited liability if anything goes wrong. Whichever business structure you choose is not final and it can be changed at any time. If you start out as a sole trader and want to change your business to a limited liability, this can be done with a few simple steps and the help of an accountant is always advised. When you decide that you want to start trading as a sole trader, your first step is to contact HMRC and register as self-employed. This can be done online and registering means that you will need to provide a self-assessment each year. This is a more complex route and requires more paperwork. The first step is to register your limited company with Companies House who issue a certificate of incorporation detailing your company number and date of incorporation. Articles of association and shares are also issued as well as detailing who the company director and secretary of the company are. Another consideration is the company name. As a Sole trader the company uses your individual name but as soon as you start a limited company, a name needs to be chosen. If you have been trading as a Sole Trader and your company uses a specific name it is imperative that that name is registered with Companies House so that no-one else can use it which could prove disastrous as you would have to start your business with a new name in these circumstances. Note that as online shopping becomes more and more in demand, it is well considering registering your company’s domain in your name to secure ownership. As a Sole Trader you would pay income tax following a self-assessment tax return. However, if your business grows then the advantageous of corporation tax would help your business grow further. This would mean that a Limited company would need to be set up. When your business is run as a sole trader you should not have large loans or any other business commitments that pose any sort of risk as all liability rests with you as an individual. If you encounter any form of tricky or risky business element it would be worth your while to move your business structure to that of a Limited company. Any liability is limited and all loans and risks do not rest with you but with the company who has an entity of its own as company law states.